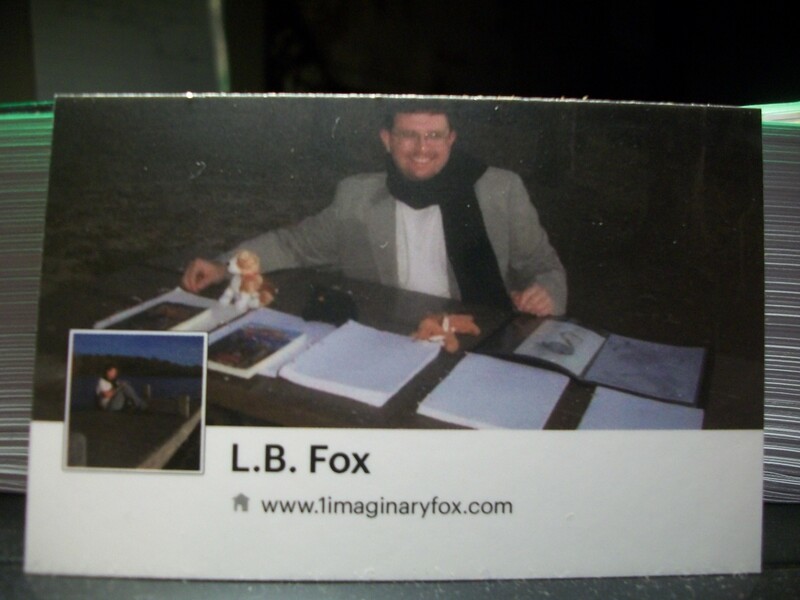 Today I received my business cards in the mail and they look great! They are rather thick and not flimsy as I fear they might be. 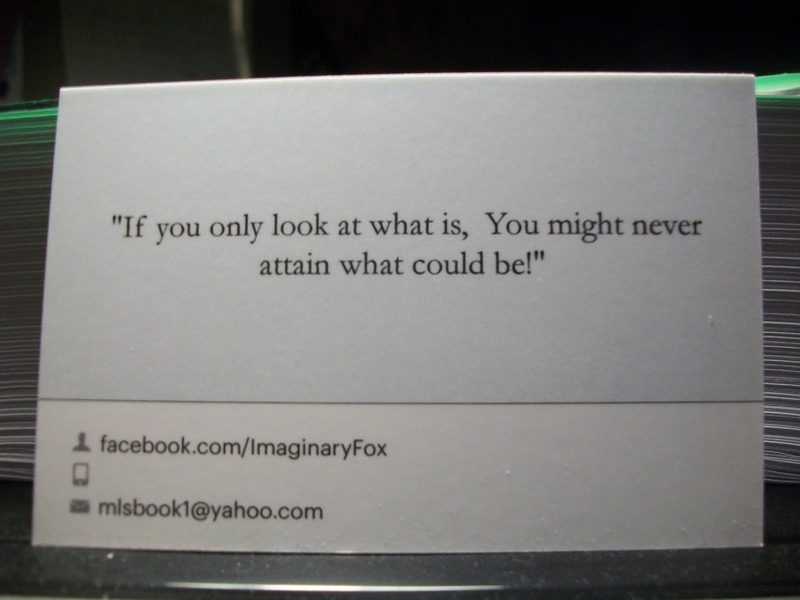 Only one more week of public posting in the newspapers and 1 Imaginary Fox will be certified, I can’t wait!